"A 52-year-old American woman aboard a Princess Cruises ship sailing in the Caribbean died Tuesday in what authorities are treating as a possible murder case, according to several news outlets in the region. The ship was sailing between the islands of Curacao and Aruba at the time of the incident." 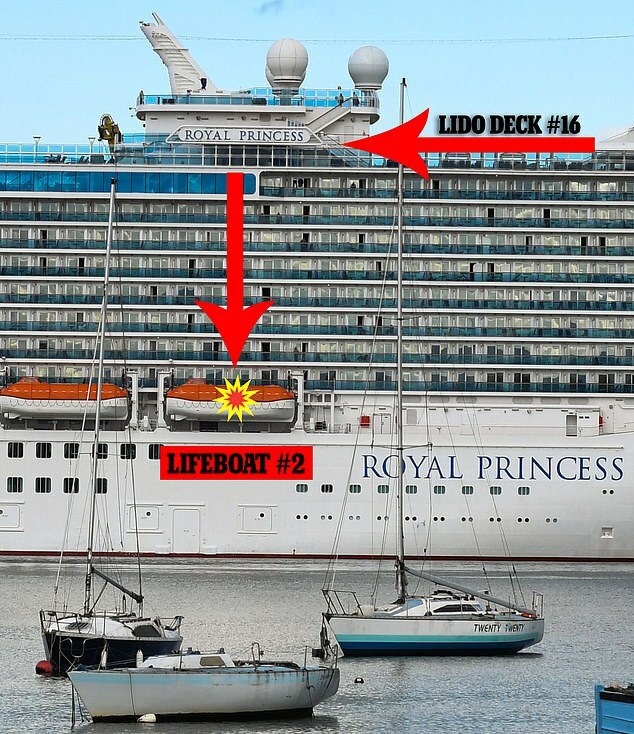 "Passengers were first alerted to the incident when they heard an announcement around 4:30 a.m. for the security team to respond to deck 7 underneath lifeboat number 2." "A spokesman for the cruise line told NBC News in a statement that the Royal Princess ship was traveling to Aruba when the death occurred. The woman's husband got off the ship in Aruba and is cooperating with investigators, a spokesman said." "The volunteer teacher grandmother, 52, who was 'pushed off the top deck of a Caribbean cruise ship after being choked by a muscular man' while vacationing in Aruba." "The woman was seen struggling with a man before being thrown overboard."